Half-ton trucks are just getting bigger and bigger, aren't they. 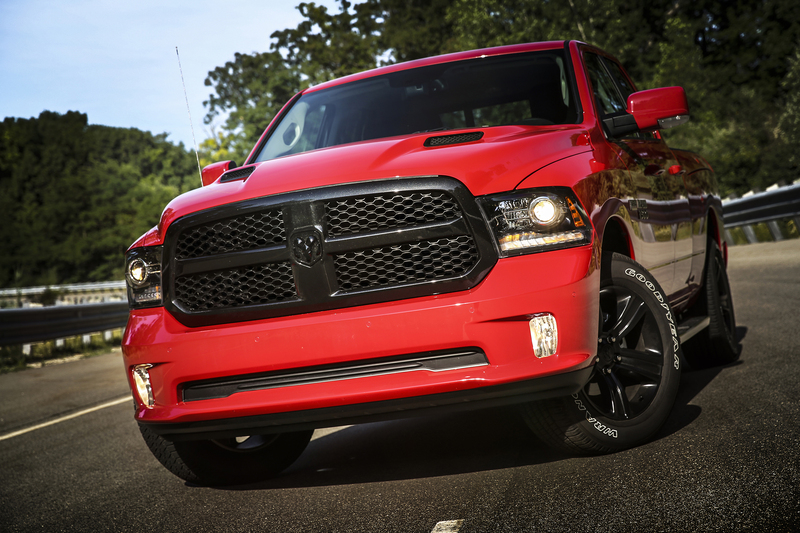 This Ram 150, dubbed "Night Edition," is really an optioned-out 1500 Sport. How optioned-out? Well, the base price on this truck is $43,995, but with all the options added on to this one, it stickered at $57,395. Our test truck also came with the optional air suspension setup which could be raised and lowed at the push of a button. I have been a fan of these Ram and Dodge trucks since they kinda went retro 20 years ago. I think the look has aged well. It's something different from the rest but doesn't have a gimmicky look. This one? It’s big. I like the Stormtrooper look. Our test truck was white with black trim. I really like the seats. In fact, I'd give Ram props for just about the interior. The infotainment system is easy to use. It had lots of cubbies for stuff both inside and out. Like the rest of the gang, I dig the storage lockers found in the sides of the bed. It's just one more place to stash stuff. That's why we buy these trucks, right? So, why would someone buy this exact truck? I don't see it being used as a serious work truck. It's just too pretty for that. But for someone who wants to say "I drive a truck that's sporty in a truck-like sense and at the same time has four real doors," then this might be the one. No, it's not a Miata. At the same time, it's not punishing like the old SRT trucks. One thing I’d change, though: Bring back the column shift. Having a rotary knob for the transmission just felt weird. In fact, I almost called it a gear shift knob, but that’s something totally different. Man, half-ton trucks sure have bulked up. That being said, this 1500 was a treat to have around. There's ample room in the front and back seats for passengers, the interior is very comfortable—air conditioned seats FTW, and the added utility of the RamBoxes on the bed was a nice touch. Those boxes, by the way, add a secure storage place outside the truck without compromising much bed space. That's not a bad feature for a tow vehicle. I will say it was surprisingly large—we were given the most extended version of the 1500. One evening my wife and I went to the gym. The parking lot was packed, thanks to some get-together scheduled on the same night. The only open spaces were parallel spots on the street. Eager to try and parallel park this behemoth, we lined up to park and then realized that the truck was actually longer than either open space. That relegated us to circling the parking lot until we spied someone pulling out of a normal space. So maybe it isn't the best urban commuter. It does have some punch. In fact, I'll come out and say it: It's quick. And the Hemi soundtrack isn't a bad thing to listen to. Our truck also came with the optional air suspension. It could be raised an lowered, depending on what you needed to accomplish—a $1715 option. That's plenty of fun to poke around and show off, but I'm not sure how often you'd actually use it on a day-to-day basis. I didn’t drive this one too much, and the biggest thing I hauled was a new set of stairs for my attic. All-in-all, nice truck. I’m not in love with the black wheels or $700 sport hood, but the interior was quite a nice place to spend time, and I thought the toolboxes built into the bed sides were a great idea. Plus, it made nice noises when you stepped on the throttle. Would I option my Ram up like this? 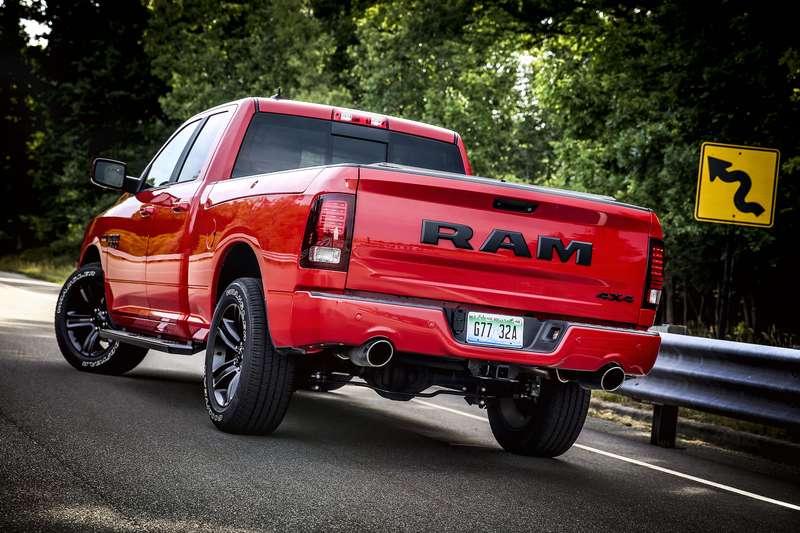 Not in a million years–if I’m spending too much money on a truck, it will be on a Ram 1500 Rebel, not something that’s trying to look like a race truck. But this one did prove that Dodge makes a darn nice pickup. Is that a tire tread pattern on the seat bottoms I'm seeing? The RAM logo needs to be bigger, there's too much empty ad-space on the tailgate. I'd like to see cheap base model trucks that come with a catalog of every accessory and doo-dad you can think of when you order. ebonyandivory wrote: The RAM logo needs to be bigger, there's too much empty ad-space on the tailgate. Seriously. Every time I walked by it with SWMBO, I said "Bet you can't guess what it is." Apparently that joke gets old fast. Wanna go in with me and make up some big vinyl "C" and "P" letters so the tailgate will read CRAMP? Or maybe the Fram company is missing out on a bright orange FRAM edition truck?